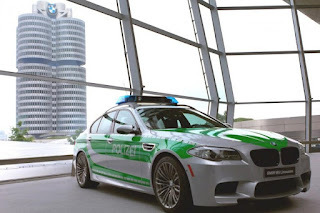 A couple high end car manufactures like Mercedes and BMW have in the past, made patrol cars for the European government as another avenue to manufacture their sports cars to help catch those extremely fast speeders along with what I think are bragging rights that the police have BMW's and Mercedes in their fleet. I mean, what cop wound not drive an M5 everyday for work? Whereas here in the States, most sports cars can out run a squad car, for the exception of Chevy with the Corvette and Camero police cars in states like Texas. BMW recently put a press release out with their 2025 Police Concept car with amazing technology like a flying drone to help catch criminals that appear to be getting away, or jumping fences. 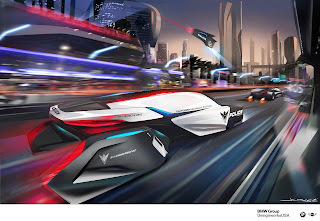 The concept is very futuristic with the future of technology in mind. 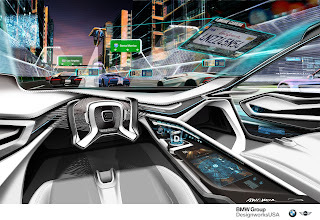 All I know, is that technology can only help us and make us faster, but we still cannot run faster than a drone.